KV-8 built on a KV-1 Model 1942 hull with the angular rear hull overhang, and mounting a 45mm gun and ATO-41 flame projector in an up-armored welded turret. KV-8 manufactured in the spring of summer of 1942. While few photographs exist of KV-8 vehicles in service, those that do show the Omsh pattern single-link track, or the early pattern split-link track with guide “bump” on every second link. One of the final KV-8S vehicles completed in early 1943. It includes the standard KV-1S hull with sloped rear engine deck and rounded rear overhang, and mounts the 45mm gun and ATO-42 flame projector in the standard KV-1S turret. KV-8 (42) – A KV-1 fitted with the ATO-41 flame-thrower in the turret, beside a machine gun. In order to accommodate the new weapon, the 76.2mm gun was replaced with a smaller 45 mm Gun M1932, though it was disguised to look like the standard 76 mm. The uparmored welded turret with 90mm armor, introduced in July 1941, mounting the 45mm gun and ATO-41 flame projector. Photographic evidence indicates that this combination of production features is correct for most of the 67 KV-8 vehicles produced. This, together the OT-34 based on the T-34 medium tank, was organized in special separate flamethrower tank battalions (the Soviets called them “Chemical Tank Battalions”). Each battalion had two companies of KV-8 tanks. The KV-8 and KV-8S (based on the KV-1S tank) were used by Russians in all fronts of WWII. The 235th Tank Brigade was equipped with 36 KV-8, 18 OT-34, 5 T-34. The authorized strength of the separate flamethrower tank battalion was 10 KV-8 and 11 OT-34, but later KV-8s were excluded. The hull sides feature integrally molded mounts for the suspension swing arms, return rollers and drive sprockets. The swing arms themselves are separate moldings and feature the correct three retaining bolts for the torsion bar hub. The tracks are of the narrow split-link type with no guide ‘bump’ on the split links. 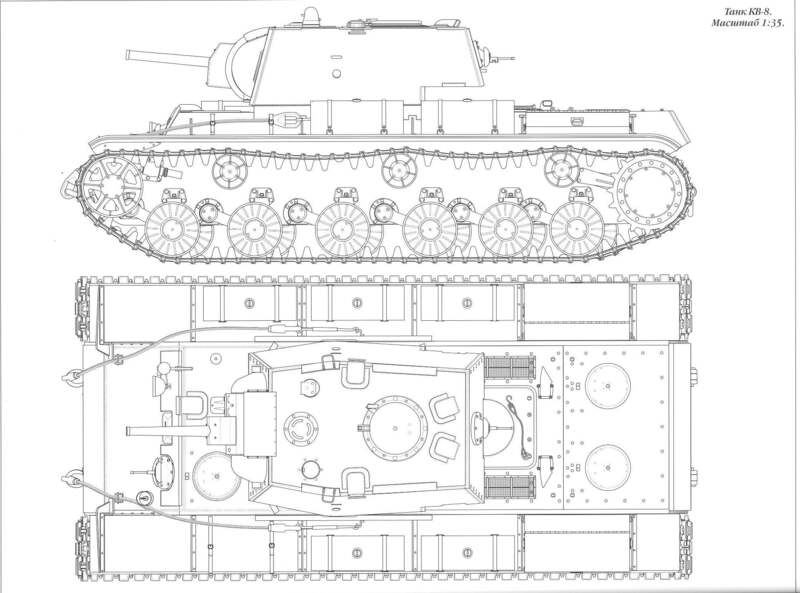 This track pattern was the most common on the KV-1S chassis. Two sets of road wheels are found on the KV-8S. One full set of all-steel one-piece wheels with eight small lightening holes is included, and these wheels were the most common type on the KV-1S. The other set feature eight larger lightening holes, as seen on some KV-1S and at least one vehicle in 1943. The drive sprockets are the late pattern with eight bolts securing the hub cover. The few surviving photographs of the KV-8S suggest that most vehicles did not carry applique armor on the hull front or the driver’s front plate. Grab rails are provided for the top edges of the hull side plates, forward of the turret, alongside the engine compartment and the transmission compartment. Approximately 102 KV-8 vehicles were produced. Twenty-five appeared as the KV-8S and based on the KV-1S production model (an upgraded version of the KV-1 with reworked turret, uprated transmission and better performance). These carried the ATO-42 series flamethrower as well which was an improved version of the earlier ATO-41. The KV-8M followed as a proposed, upgraded variant of the KV-8S model intended to carry two flamethrowers. Only two prototypes of this form were built and the design was not adopted for service. The unique KV-1S cast turret. The configuration of the weld seams is appropriate for an early or mid-production turret built prior to the spring of 1943, which matches the production dates for the final 10 KV-8S vehicles. 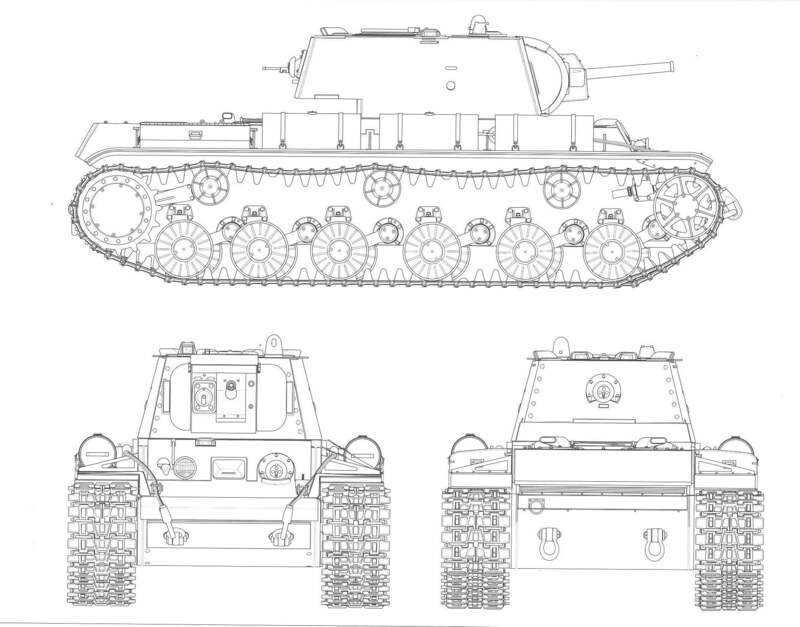 KV-8 – Base Series Designation; initial production form; 42 examples completed with ATO-41 flamethrowers. 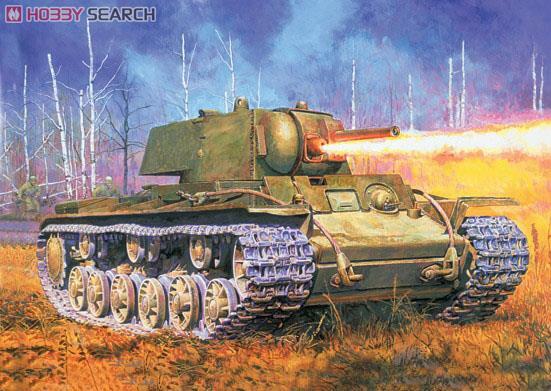 KV-8S – Based on the improved KV-1S production models; 25 examples completed with ATO-42 flamethrower support. 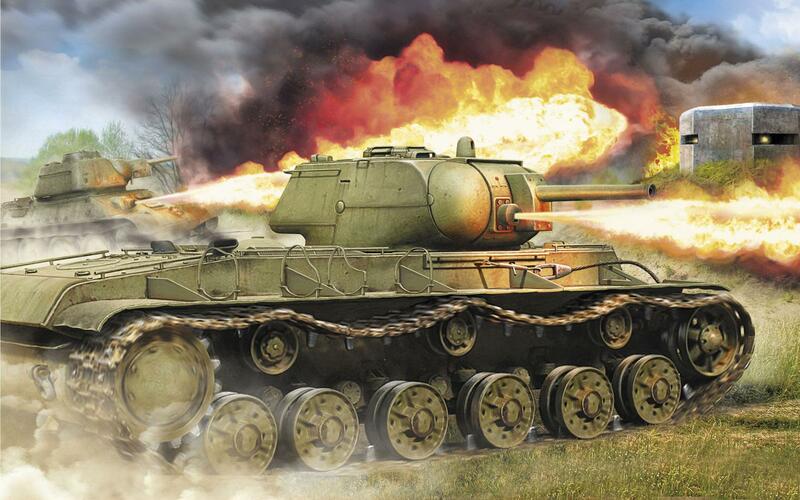 KV-8M – Proposed, upgraded model to carry two flamethrower weapons; only two prototypes completed. Nice! I made a model of this tank a few days ago. I would, however, like to know what your sources are for the production numbers; 102 is a good bit higher than anything I’ve found. My mistake I make it 67 plus two prototypes.